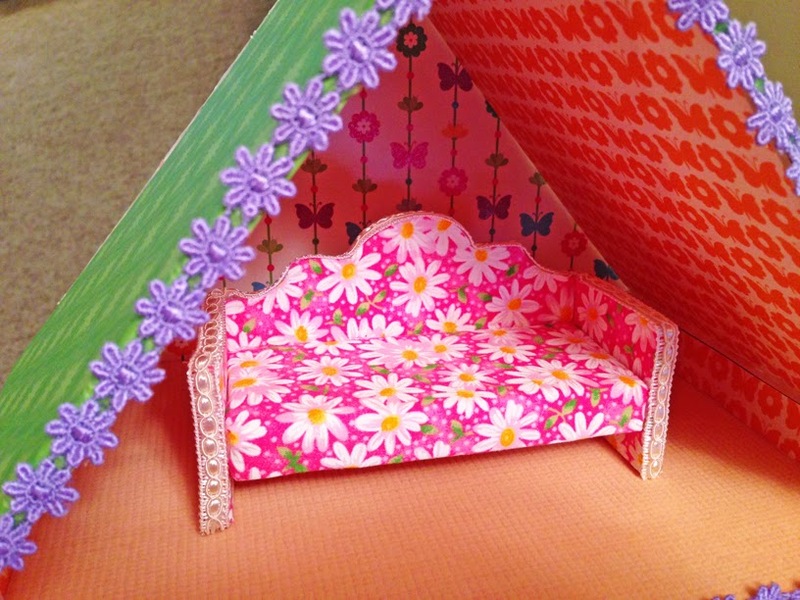 Here is how to make your own doll house sofa out of foam board... we put it in our foamboard dollhouse. 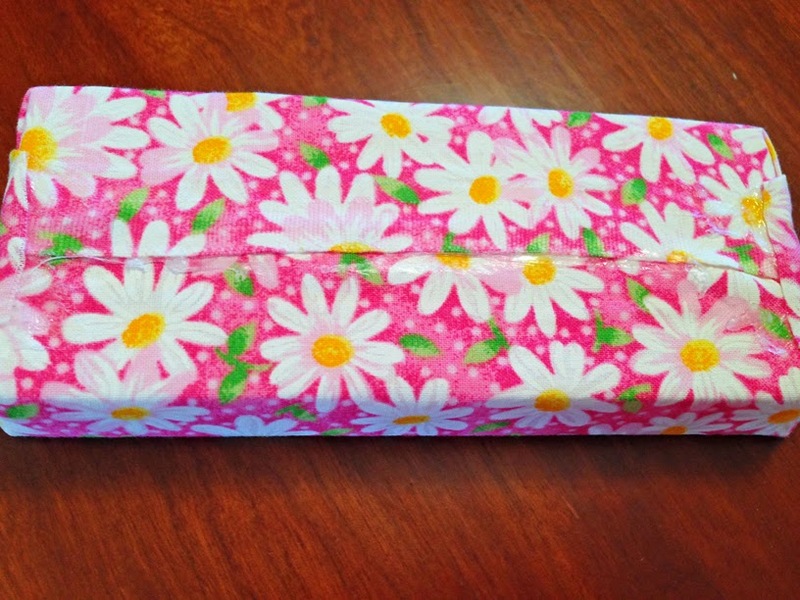 Here is a finished picture, followed by detailed instructions. 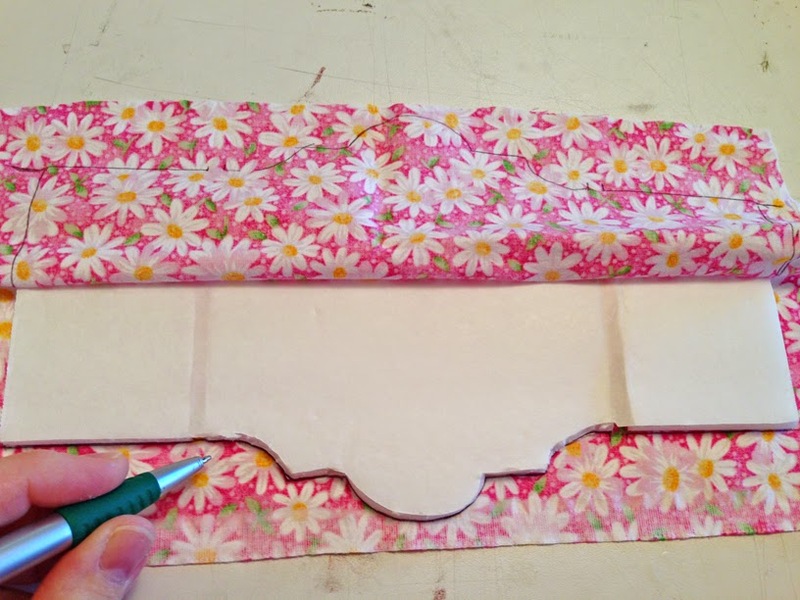 Print this template... I designed the file to be 10.5" x 8". 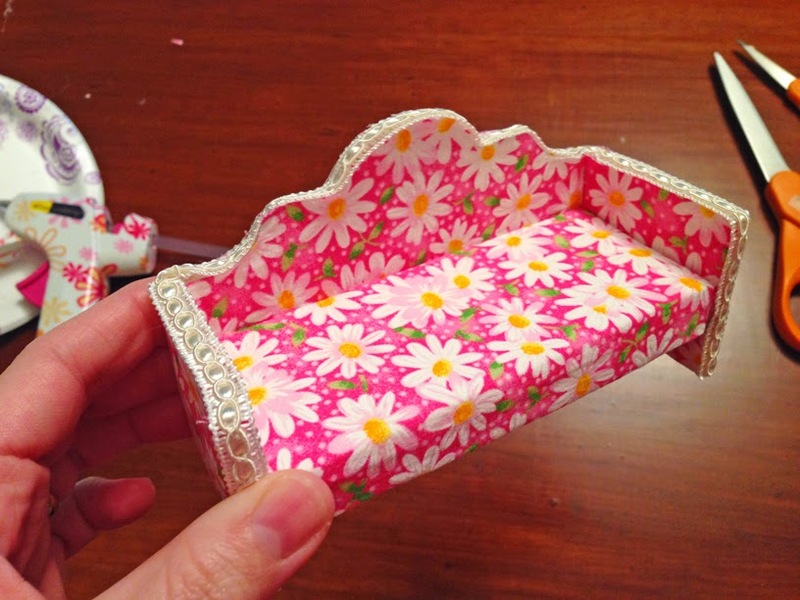 You can scale it to be larger or smaller than that, or just come up with your own style! 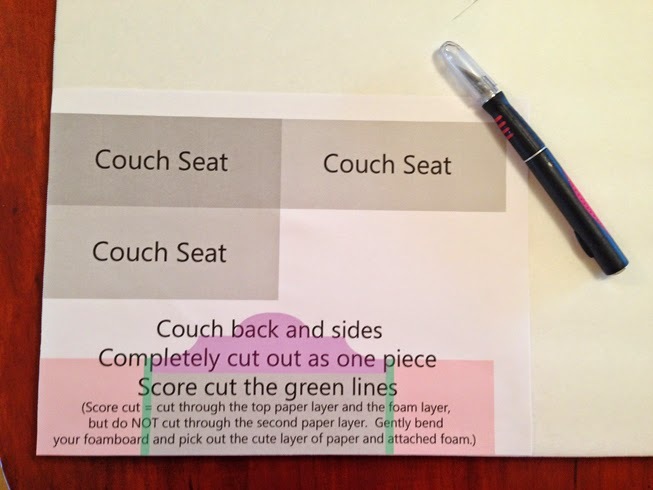 The pictures below show what "score cut" means... 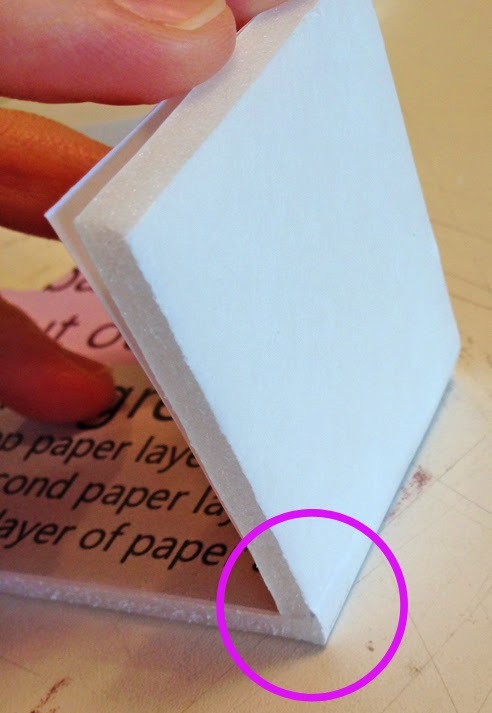 The idea is, that when you score cut foamboard, you are only cutting through one layer of the paper and all of the foam... you do NOT cut through the second layer of paper. 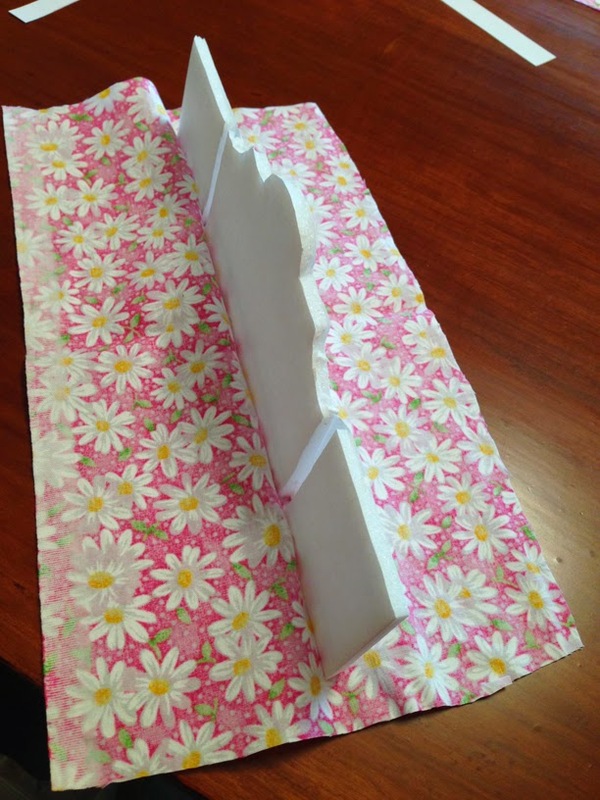 By doing this, you can gently fold back the foam board both directions and then pick out the foam. 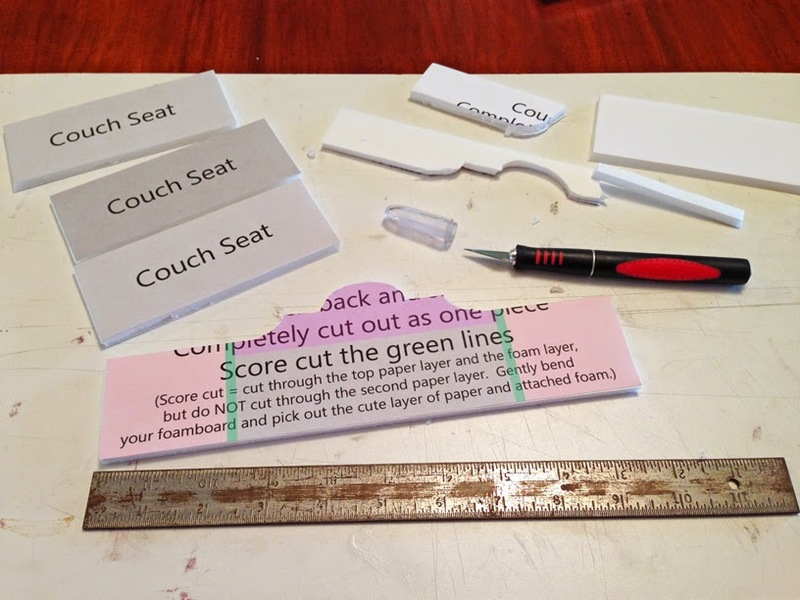 Score cutting is generally measured to be the same width as your foam board. 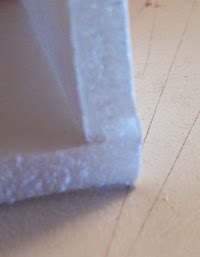 The foam board we use is 3/16th of an inch thick (4 cm). 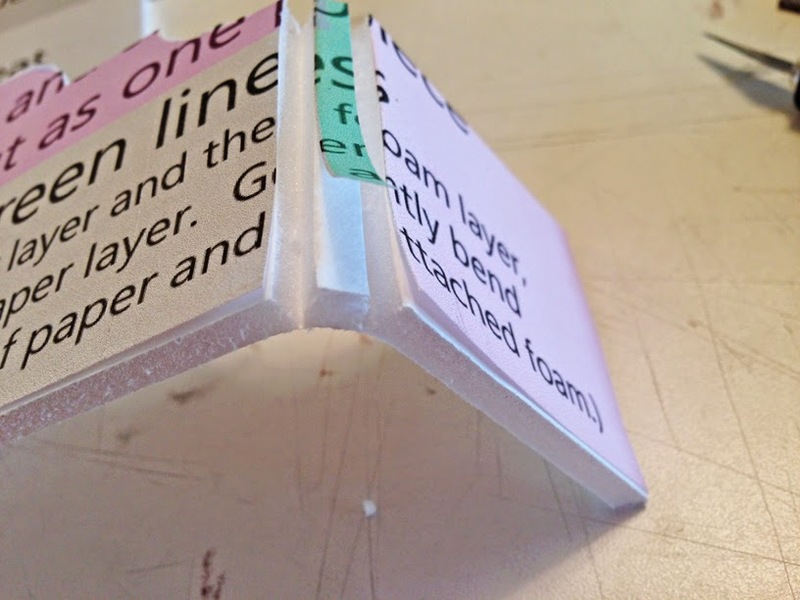 If you have thicker foam board than this, please adjust the green line width in the template file. 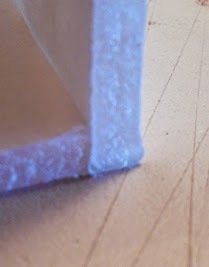 Note how score cutting allows you to have a finished looking corner with no visible foam. 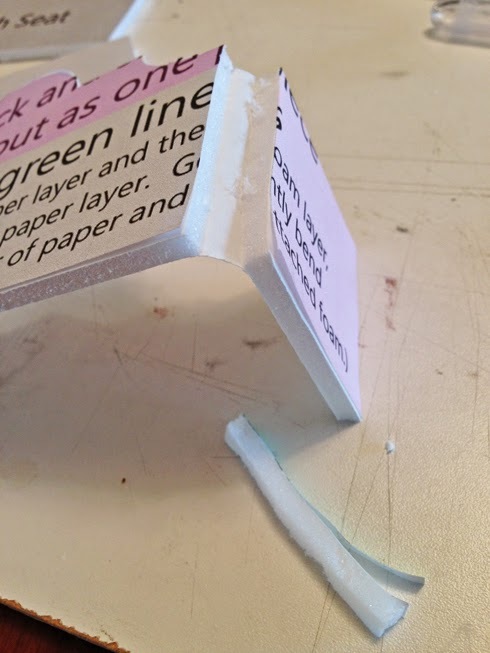 It not only looks better, but helps you get your corners hot glued at 90 degrees. 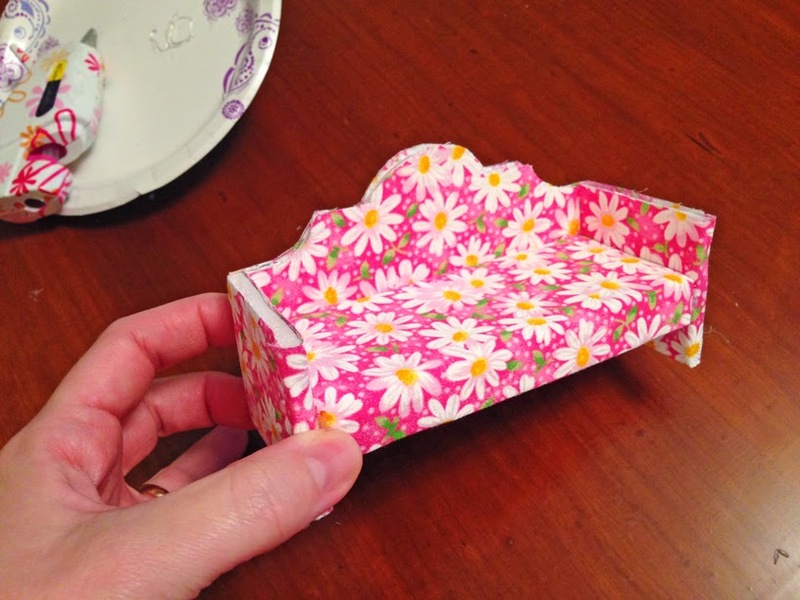 Now take some fabric and "wrap" your sofa seat like it's a package, using hot glue where you would normally put tape if it were a package! 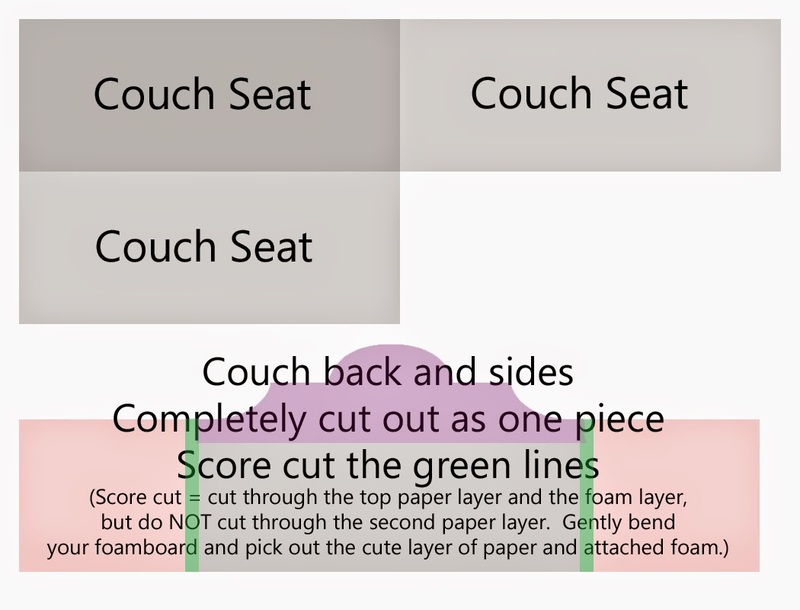 Glue the couch cushion to the back... the positioning of this is entirely up to you. 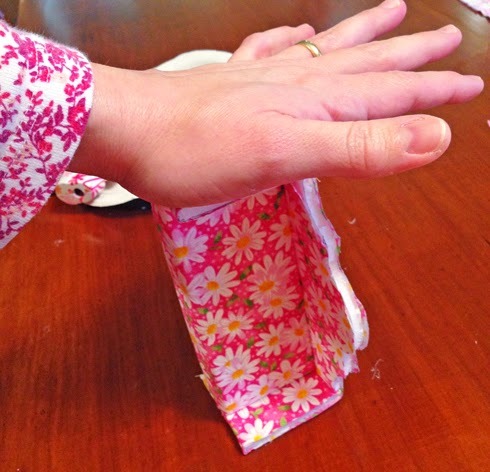 You can make it flush with the floor, or raise it up a bit like we did. 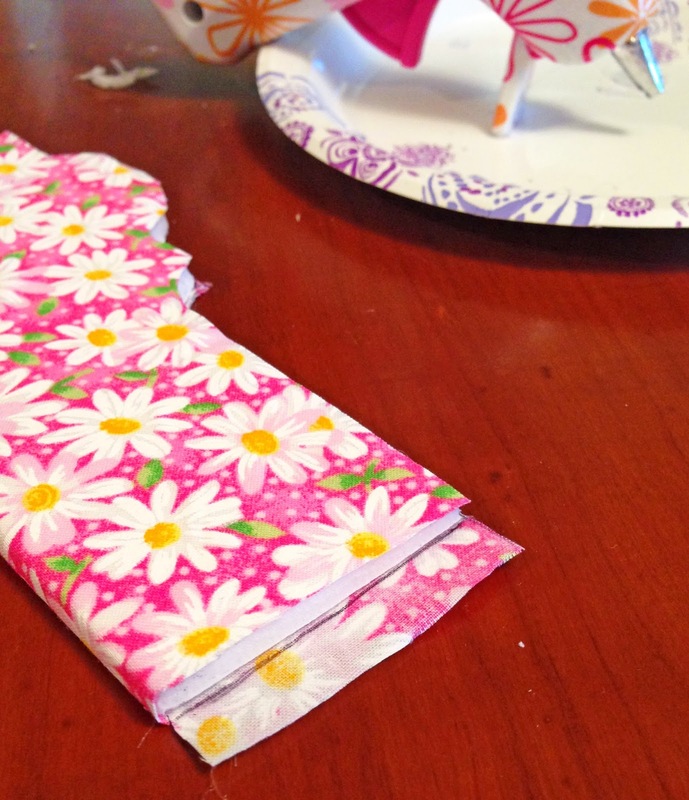 ...trim them with trim, or extra matching fabric, or rope... whatever you think looks good! 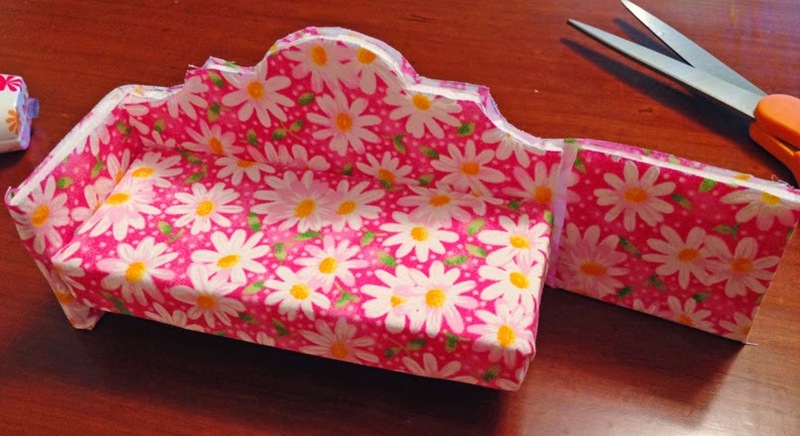 it's really nice idea, how to make a sofa! 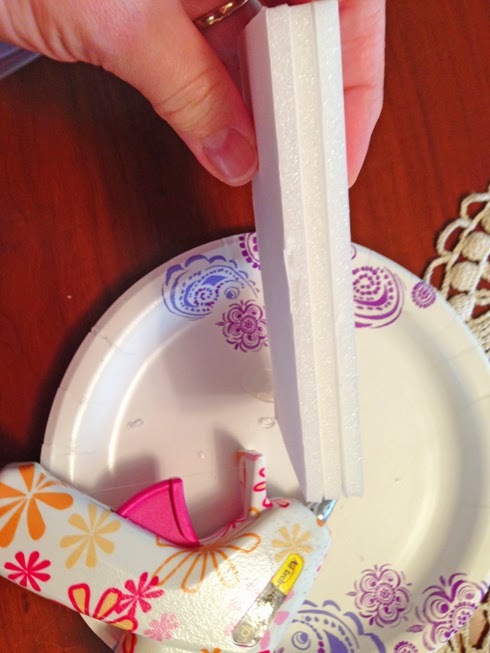 Thank you for sharing really great ideas for decorations.